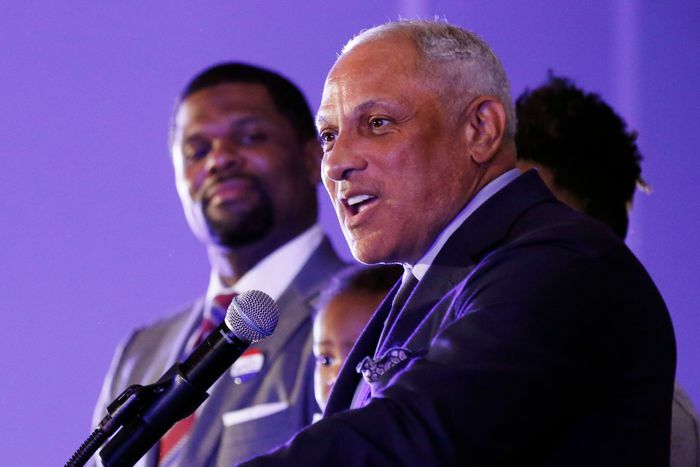 Hyde-Smith and Espy — who in 1987 became the first black Mississippian to be elected to Congress since Reconstruction, and later became the first black secretary of agriculture under President Clinton — were the two candidates who received the most votes in a four-person special election on Tuesday. Since no candidate received a majority of votes, the result triggered a runoff election between the top two. 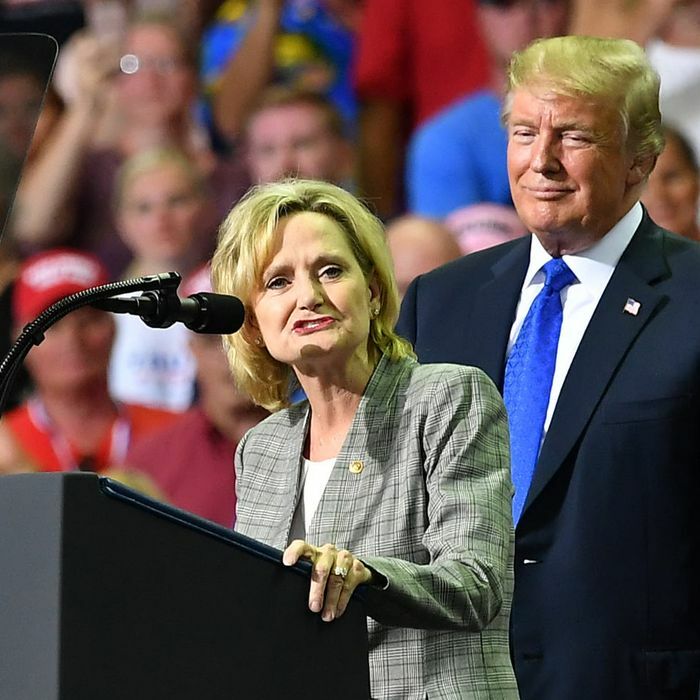 Hyde-Smith was appointed by Mississippi governor Phil Bryant to replace ailing senator Thad Cochran back in April, but still had to win the special election to serve out the remaining two years of Cochran’s term. Between 1877 and 1950, Mississippi had the highest number of lynchings of African Americans of any state in the United States, just as the state had been the wealthiest from slavery before the Civil War, and then later passed the most onerous laws after Reconstruction to stop black people from voting and gain equal rights in the state. Across Mississippi, 654 lynchings were reported in that period, including two in Lee County, where Hyde-Smith’s comments were made. Lynchings — extrajudicial mob justice used to intimidate African Americans — were usually done by hanging, often in front of crowds of joyous whites who even mailed postcards with lynching photographs to friends and family. They have no place in our political discourse, in Mississippi, or our country. We need leaders, no dividers, and her words show that she lacks the understanding and judgment to represent the people of our state. Hyde-Smith responded to the outrage over the video as well, but dismissed the idea that what she said was somehow racist. The last execution by hanging in Mississippi occurred in 1940. The last alleged lynching by hanging in Mississippi occurred in 2018. Cindy Hyde-Smith was born in 1959. Public executions aren’t part of the history of Mississippi in her lifetime. Lynchings are. And of course many of Mississippi’s public executions were themselves legal lynchings. To speak of “public hangings” in Mississippi is to evoke a long and brutal history of racial terror. Candidates of all parties will compete on the same special election ballot in Mississippi. If none of them receive a majority of the vote, the top two finishers will head to a runoff. Some Republicans have worried that if McDaniel, a polarizing figure, advances to a runoff against a Democratic candidate, the seat would be at risk of flipping from red to blue. Hyde-Smith’s Trump-aligned campaign even criticized McDaniel in September for spouting racist rhetoric. McDaniel had said that he wanted to ask black Mississippians whether they were any better off “after 100 years of begging for federal government scraps.” In response, Hyde-Smith’s communications director said that McDaniel had “demeaned the African-American population in Mississippi.” Governor Bryant — an award-winning member of the Sons of Confederate Veterans, which designates April as “Confederate History Month” every year — who backed a state boycott of Nike after it hired Colin Kaepernick for an ad campaign, also attacked McDaniel over the rhetoric. But if a majority of Mississippi voters reject Hyde-Smith over her “public hanging” joke — an outcome which is obviously no guarantee in a deep-red state with a long, violent history of racism — the calculation that McDaniel would have been a worse candidate in a runoff might not work out as the GOP and White House planned. On Tuesday, Hyde-Smith and McDaniel seemed to split the state’s Republican vote, with Hyde-Smith taking 32 percent to McDaniel’s 24.8 percent. Espy ended up with 41.5 percent of the vote, but FiveThirtyEight still gives him only a one-in-four chance of ultimately winning the Senate seat. Hyde-Smith, as of Sunday, had a seven-in-ten chance. This post has been updated throughout. A previous version incorrectly indicated that Senator Hyde-Smith switched parties in 1999. It was in 2010.